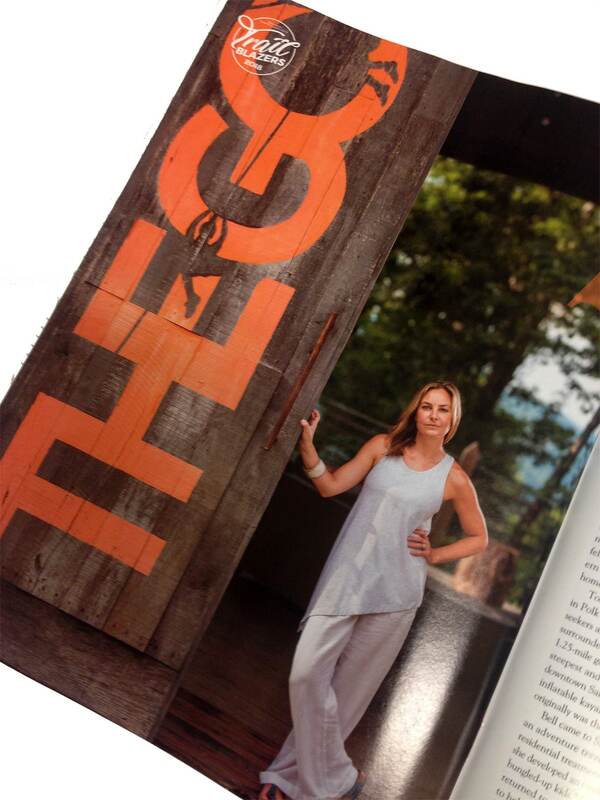 Sara Bell, owner and operator of The Gorge Zipline and Green River Adventures, named a “Trailblazer” by Business North Carolina. Brevard College Alumna, Sara Bell, is making an impact on the business world and the community. Bell lives the mission of the Brevard College. She has taken the knowledge and skills learned at the small, experiential liberal arts college and used that knowledge to help build her businesses and transform her local community. Bell has also supported Brevard College over the years by employing and mentoring Brevard College students and graduates. “I love that she has stayed engaged with the college, and how she takes a personal interest in our students, from mentoring them to hiring them. She is a great leader and wonderful asset for Brevard College,” said Robert Dye, Associate Professor of Wilderness Leadership and Experiential Education. Brevard College is consistently recognized as one of the best liberal arts colleges. The College’s focus on experiential learning, small class sizes, and location the mountains of Western North Carolina makes it a top choice college for students around the world.